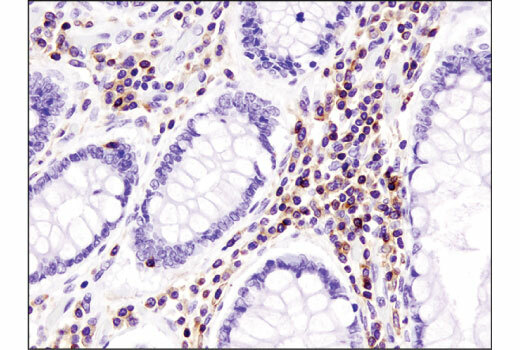 Immunohistochemical analysis of paraffin-embedded human Crohn's disease of the colon using CXCR4 (D4Z7W) Rabbit mAb (IHC Specific). Immunohistochemical analysis of paraffin-embedded Jurkat (left) and 293T (right) cell pellets using CXCR4 (D4Z7W) Rabbit mAb (IHC Specific). 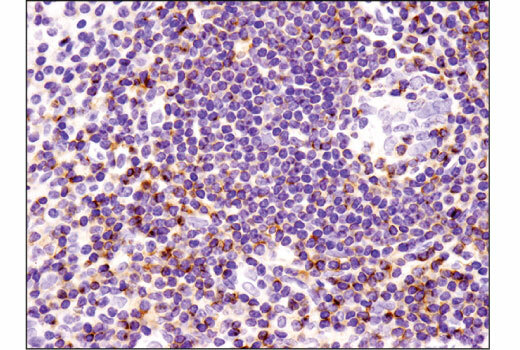 Immunohistochemical analysis of paraffin-embedded human tonsil using CXCR4 (D4Z7W) Rabbit mAb (IHC Specific). 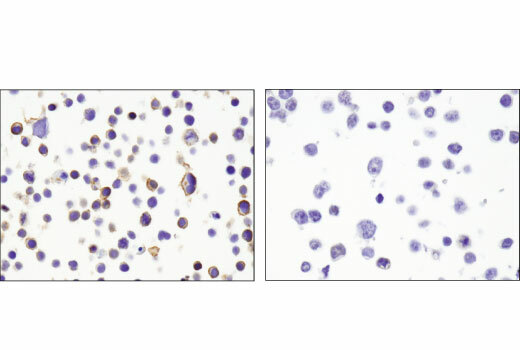 CXCR4 (D4Z7W) Rabbit mAb (IHC Specific) recognizes endogenous levels of total CXCR4 protein. Monoclonal antibody is produced by immunizing animals with recombinant protein specific to the extracellular domains of human CXCR4 protein.